(October 13, 2016 – Vancouver, BC) The 2016 Vancouver International Film Festival (VIFF) is a splendid mix of the familiar and the unusual, with plenty of crowd pleasers and surprises. From social justice virtual reality (Cut Off, Viceland) to a Spanish adaptation of Alice Munro short stories (Julieta, Pedro Almodovar) to practicing mindfulness in the face of bullying (Milton’s Secret, Barnet Bain) the festival, now in it’s 35th year, is an immersive and unique experience. At the opening gala the moody thriller Cadence, the debut feature shot in Langley and directed by Alex Lashera, took home the #mustseebc award given to productions with the most online votes. 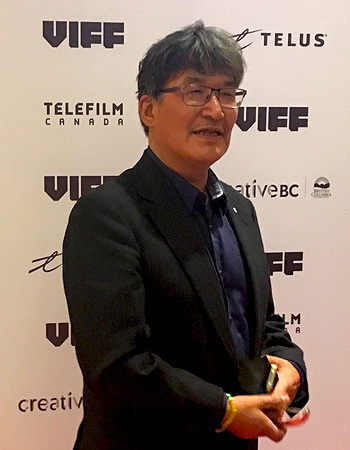 Mid-fest, the NFB animated feature Window Horses (The Poetic Persian Epiphany of Rosie Ming) took home both Best BC Film Award and Best Canadian Film. Hello, Destroyer, from Kevan Funk won best BC Emerging Filmmaker at the Spotlight BC Awards. Here Nor There from Julia Hutchings took top honors for Best BC Short Film. 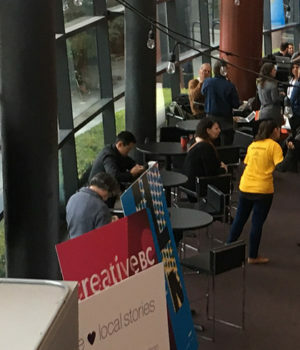 In the lobby of the Vancity theatre, renamed the Hub for the festival, virtual reality creators showcased the latest in the emerging technology, including HTC Vive, Oculus Rift and Gear VR. From a social justice standpoint, Cut Off from Viceland offers a glimpse into one of the most impoverished and isolated First Nations communities in Canada. As viewers train their eye on each person in a sharing circle, they tell their story. It’s a powerful way to convey an ugly part of Canadian reality that is past due for awareness and action. It also features a visit from Prime Minister Justin Trudeau, who has been outspoken in his commitment to healing the wounds of previous governments. The virtual reality experience also gets uncomfortably close with a giant cobra in Bali. I’m not a fan of snakes at the best of times and experiencing one of the world’s most fearsome serpents close up startled me so visibly, I could hear VIFF volunteers giggling as I squirmed. It’s an unsettling effect on the psyche, seeing something so real, yet knowing it’s not, and being brought back to present by the nervous laughter of volunteers. For future events, I’d recommend some kind of warning for ophidiophobic writers. 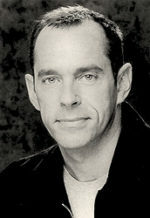 Keynote speaker Ted Schilowitz, the Futurist who “lives in a world of what if” at 20th Century Fox Studios, the creative icon and TED talk alumnus also known as the cofounder of Red Epic cameras talked about how we’ve been softened to the technology of VR through our constant interaction with our smart phones. He estimates we’ll be seeing more headsets in the not too distant future as consumers hungry for immersive experiences seek out new thrills. Although as an old school film lover, I still lean towards the shared experience of seeing a film on the big screen. Photo of Zacharias Kunuk © 2016 by Roberta McDonald. Used with permission. The Centre for Performing Arts played host to the wildly unique feature from the creative team behind Atanarjuak (The Fast Runner). 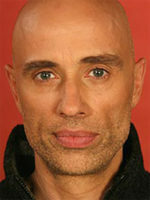 Maliglutit (Searchers) is loosely based on the western classic by John Ford, co-written and directed by Zacharius Kunuk (pictured) and Natar Ungalaaq. A visually mesmerizing epic that stays true to the classic good guy/bad guy form. As he introduced the film to a packed house, Kunuk said he’s wanted to make a Western since he watched them on TV as a kid. The fast zooms and cross fades are reminiscent of spaghetti westerns past. A satisfying and inspiring film, Maliglutit is also enhanced by the throat singing of Tanya Taqaq. Based on Alice Munroe’s short stories, Julieta is vintage Pedro Almodovar. Set in Madrid and a rural Spanish fishing village, it’s an exploration of all that goes unsaid in life. It’s one of his best, with ravishing cinematography and a tongue in cheek nod to his penchant for vivid wallpaper. The power of film was in full display at a screening of the French nature documentary Seasons when a woman, overcome by a scene of wolves being shot started shouting, “This has to stop” before exiting the theatre sobbing. A final note on the stellar volunteers at the venues: bravo. In the face of impatient pass holders and freaked out virtual reality explorees (myself), the men and women I encountered throughout the festival enhanced the experience and added a layer of delightful human interaction that is impossible to create watching movies at home. Based in Vancouver, Roberta McDonald is West Coast Editor for Northernstars.ca. She is a best selling writer, arts journalist and photographer. She has profiled extraordinary filmmakers, including Ang Lee and Sturla Gunnerson. Her short film The Spiral was released in 2014 and she is currently writing her first feature screenplay. Photos © 2016 Roberta McDonald.